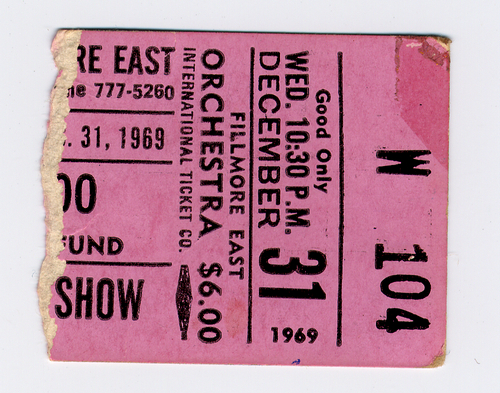 Fillmore East, New York Two Shows Prior to their two concerts later that evening, Hendrix and his Band Of Gypsys held an afternoon sound check and rehearsal at the Fillmore East. 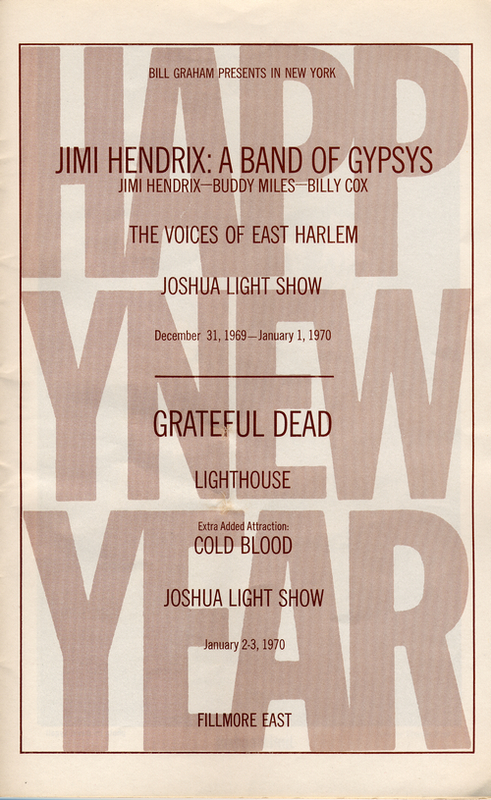 Later that evening, before a sold out crowd of 2,639, Hendrix rang in the New Year and new decade with two unforgettable performances. The evening’s festivities opened with a spirited set by the Voices Of East Harlem, an enthusiastic young gospel ensemble. 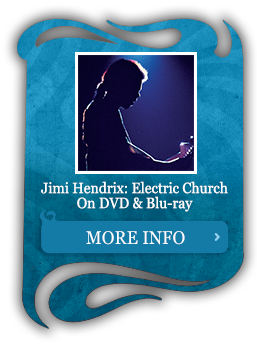 With the anticipation of the sold out Fillmore audience heightened to fever pitch, Hendrix led his trio through a scintillating, seventy-five minute opening performance. 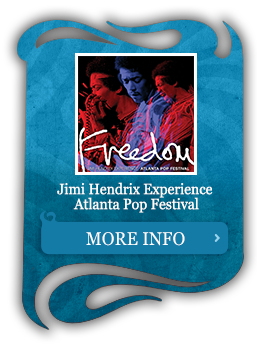 None of the eleven songs presented had yet to grace an Experience album. 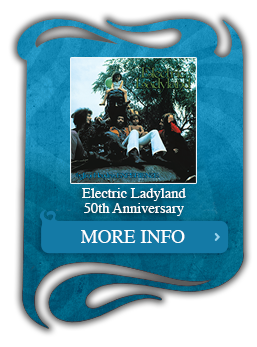 In the place of signature songs like “Purple Haze” and “All Along The Watchtower” were confident renditions of “Izabella” and “Hear My Train A Comin’”. At midnight, Kip Cohen, the venue’s master of ceremonies, rang in the new year and decade buffeted by Guy Lombardo’s “Auld Lang Syne”. Never one to be upstaged, Jimi and company greeted the joyous house with their own inspired reading of the holiday staple. For Amalie Rothschild, the Fillmore East’s house photographer, the experience was an unforgettable one. “Then there was the countdown at midnight. It was the countdown that was a real scream. We’re talking about the end of the Sixties. December 31, 1969 turning into January 1, 1970–.A new decade. This was significant. After all, we were living through it and we knew that the Sixties were the Sixties. We had this big countdown on the [Joshua White] light show screen with this big clock 10, 9, 8, 7, 6…and everybody is yelling together. 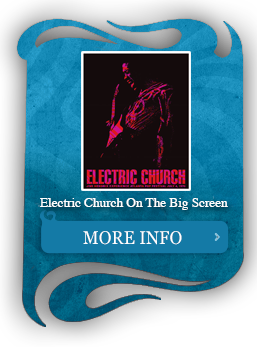 Then the light show screen pulls up and everybody is on stage–all the crew and the musicians. 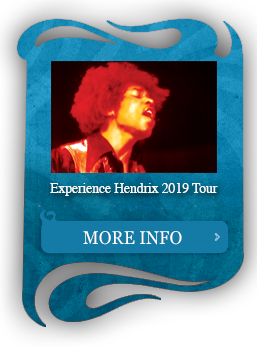 Hendrix, who is now on stage, launches into this amazing rendition of ‘Auld Lang Syne’ and I filmed it [excerpts of Rothschild’s color film footage can be seen in the VHS/DVD Band Of Gypsys]. This was history in the making. You could not miss this. His performance was just so inspired. 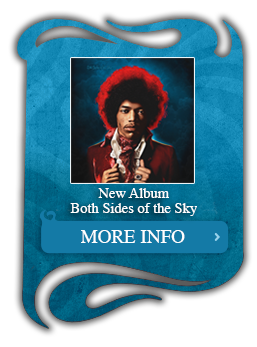 It was just terrific and I can’t find the words to describe it.” The recordings which make up both Band Of Gypsys and its two disc sequel Live At The Fillmore East certainly bear out Rothschild’s remembrances. 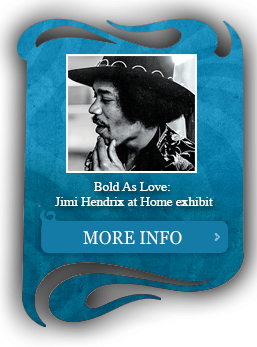 Jimi’s celebrated work with the Band Of Gypsys stands among his most impressive and lasting achievements. After the show, Ian Dove of Record Mirror interviewed Jimi Hendrix for the January 10, 1970 edition of the British paper. Later that night, Hendrix retreated to The Café Caliph (previously known as The Café Au Go Go) in Greenwich Village where he joined The James Cotton Blues Band on stage for a jam.